There’s nowhere better to live than in beautiful Hawaii. It has the perfect weather all year long; it’s absolutely stunning; and each island has its own unique personality and atmosphere. Before calling WestPac International in Honolulu, Hawaii for their exceptional moving services, first research which island is right for you and your family. Kauai: Kauai is the oldest and northernmost island in the chain. It is dramatic and filled with natural beauty that you can’t find anywhere else. 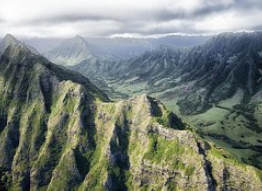 Westpac International recommends Kauai if you love outdoor adventures and exciting escapades. The island is small, but has grand sights and locations like Waimea Canyon (the Grand Canyon of the Pacific) and the Napali Coast. Oahu: Home to the state capital and the majority of Hawaii’s population, Oahu is also home to WestPac International. It’s a vibrant mix of natural and cultural wonders with modern arts, entertainment, and all the amenities you could ever want. 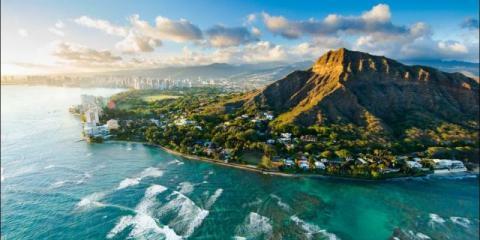 If you like city and island living, Oahu is for you. You can enjoy the legendary surfing on North Shore, relive history at Pearl Harbor, or enjoy a walk down stunning Waikiki Beach. Molokai: The perfect island for Native Hawaiians, Molokai is a step back into the past. It’s a beautiful and quiet island that Westpac International recommends for people who love sleepy towns, beautiful flora, and few people. Lanai: If you don’t want to have to deal with a single traffic light, WestPac International thinks Lanai is for you. It’s a true island getaway for luxury, romance, and privacy away from the crowds. Maui: The second largest island, and the second most popular after Oahu, Maui is home to some of the most beautiful beaches in the world. WestPac International also recommends Maui for those who love whale watching and world-class service and romance. The island is home to historical Lahaina town, the spectacular scenery of Hana, and the stunning Haleakala sunrise. Hawaii Island: Otherwise known as the Big Island, Hawaii Island is bigger than all the other islands combined. It’s an incredible mix of sandy beaches and snowcapped mountains.You can find waterfalls, rain forests, and botanical gardens in Hilo, calm and clear water off of Kona, and one of the world’s most active volcanoes, Kilauea. No matter which island you decide upon, WestPac International can move your family there safely and efficiently with their moving and storage options. And whether you need long-distance moving or a local move, they have you covered! Call the moving services company at (808) 845-9711 today, or visit their website to learn more.